Although they may well come with all-electric powertrains. 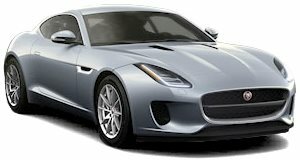 Jaguar Land Rover desperately needs to improve its financial situation right now, which is why the automaker recently scrapped the Range Rover Coupe SV and the Discovery SVX before either model had entered production and instead focus on profitable models like the new Range Rover Evoque and the new Discovery. If you were worried this will mean low-volume sports coupes like the F-Type will become extinct, then fear not. Jaguar has a long history of two-door sports cars and has no intention to stop building them any time soon. "There will always be a Jag two-door coupe in the lineup, because that’s the story of what we’re about and you can’t build a brand without a story,” Jaguar design director Ian Callum told Top Gear in a recent interview. "A two-door coupe is essential to the brand. The volumes may not be high but we will build two-door sports cars and the rest will grow from that.” That may sound surprising considering that F-Type sales fell to 2,268 units in the US, which was a nearly 50 percent decline from 2017.